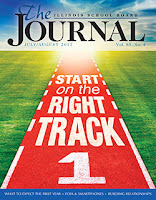 Readers of the July/August issue of The Illinois School Board Journal will discover the many words of wisdom that experienced board members from all over the state share with newcomers to board service. In a related matter, no matter how long you’ve been on the board, attorney Scott F. Uhler, a partner with Klein, Thorpe and Jenkins, Ltd. in Chicago, details what you need to know about using your personal electronic device for public business. 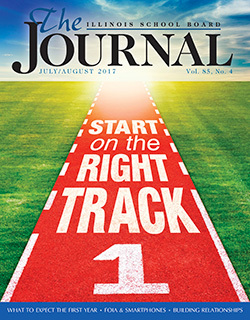 Also in this issue, in "From rigor to reality, revisited," by James Rosborg, the Journal takes another look at the impact of the changes in the state rules and regulations in the number of teacher and administrator candidates in Illinois. Finally, discover the personal and relationship-building aspects of advocacy with Cynthia Woods, who recently retired as IASB's director of advocacy. Watch for the issue in your postal mail. Click here or below to read the complete digital version. A vote is expected within the next two weeks on the Senate’s version of a health care bill, also discussed as a repeal of the Affordable Care Act/Obamacare. The House passed their version on May 4. The Senate version has mostly been negotiated behind the scenes; however, before any vote is taken in the Senate, an independent analysis must be done of the language by the Congressional Budget Office. Illinois school districts currently receive $144 million in Medicaid reimbursements to provide medical care and special education services for students. These services include the work of professionals such as speech-language pathologists, occupational therapists, school psychologists, school social workers, school nurses, and reimbursement for costly supplies and materials. The House version contained language jeopardizing Medicaid funding in schools (see FLR 115-02 and 115-03), and it is assumed the Senate language will contain the same. Please contact Senators Durbin and Duckworth and ask them to oppose provisions that place arbitrary caps on how much Medicaid funding a child receives. Also, let them know the services you provide in your district that will be at risk if those funds are not available. Click here to read the entire Federal Legislative Report 115-05, including information on the Strengthening Career and Technical Education for the 21st Century Act and Fiscal Year 2018 federal budget appropriations. School districts and design professionals are invited to enter the 2017 Exhibition of Educational Environments, an annual juried awards program sponsored by the IASB Service Associates to recognize outstanding design of public school facilities used for instructional, recreational, administrative, or other purposes. The deadline for entries is July 17. Click here to read more. IASB offices in Springfield and Lombard will be closed on four days in July in observance of the Association’s summer schedule and the national holiday. Both offices will be closed Monday, July 3, and Tuesday, July 4, and both will be closed on the following two Fridays: July 7 and 14. Applications for the 2017 Holly Jack Outstanding Service Award are available. School districts are encouraged to nominate individuals who dedicate their time and effort performing the work of the board secretary. Application forms must be signed by the board president and superintendent and submitted by Sep. 30. Click here for the nomination form and additional information on the required qualifying criteria. The Aug. 1 deadline is approaching for boards of education to file an application in IASB’s School Board Governance Recognition program, which recognizes boards that learn and practice effective governance. Boards that meet the requirements receive recognition at fall division meetings for practicing the governance behaviors identified in the Association’s Foundational Principles of Effective Governance, and for participating in IASB programs and activities. The program’s main focus is on full board development and participation rather than individual board member efforts. Questions about the School Board Governance Recognition program should be directed to IASB field service directors or to the board development department at 217/528-9688, ext. 1103. The executive directors of the Illinois Statewide School Management Alliance have sent letters to the four legislative leaders in the Senate and House and to Gov. Bruce Rauner, seeking an end to the budget impasse that is nearing its third year. Citing the uncertainty and anxiety the funding crisis is causing among school boards, administrators, communities, parents, and even students, the Alliance is urging the General Assembly and the governor to reach a compromise that will put in place a PK-12 education budget for next fiscal year. “Our collective desire is for an FY 2018 solution that results in the state’s ability to increase funding to all school districts, equitably distributes funds to the neediest districts, fully funds any mandated categoricals, and ensures timely payments,” the letter states. The Alliance has also developed a budget toolkit and timeline to assist local school districts with managing the funding crisis,should no spending bill be approved in the near future. The June-August timeline calls for districts to conduct a district financial analysis, reach out to local residents and stakeholders urging them to contact state legislators, and host community discussions about the impact and possible scenarios that include: not opening on time, closing prematurely, or eliminating important educational programs in order to operate. The four associations – IASB, IASA, IPA, and Illinois ASBO – call for a FY18 solution that results in increased funding to all districts, equitable distribution to the neediest district, full funding for mandated categoricals, and timely payments. In addition to the Alliance letter, IASB President Phil Pritzker reached out to the Democrat and Republican legislative leaders on behalf of IASB’s 6,000 school board members. Pritzker said the lack of a state budget puts districts in the difficult position of planning to open schools without knowing what amount, or even when, state revenue will arrive. Legislators will return to the state Capitol next week, with the hope of passing a state budget that will be signed into law before July 1, the beginning of FY 2018. IASB and the Alliance will continue to push for an end to the impasse and for an education budget that provides secure funding for Illinois schools and adequately meets the needs of all Illinois children. Further budget updates and materials will be posted on the School Board News Blog, IASB website, and provided via our Twitter account and Facebook page. Governor Bruce Rauner Thursday called for a special session of the Illinois General Assembly “for the purpose of considering legislation, new or pending, which addresses a balanced budget and structural reforms.” He noted that this would include, but not be limited to, property tax relief, job creation, worker’s compensation reform, government consolidation, education, term limits, pension reform, and spending limitations. The special session will convene next Wednesday, June 21. Pension reform which includes two bills. One consists of the “consideration model” which is in SB 16 that requires members of the Teachers’ Retirement System (TRS) to choose between forgoing future salary increases in the calculation of a pension or forgoing the 3 percent compounding cost of living adjustment (COLA) upon retirement (HB 4064). 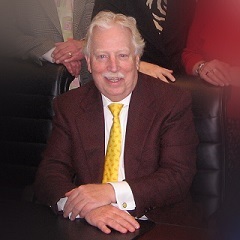 The other establishes a Tier III pension plan; an alternate 401(k) retirement plan; allows for lump sum accelerated retirement payments in lieu of the current pension annuity; and shifts the normal costs of pensions from the State to local school districts for any district employee who receives more than $140,000 per year in salary (HB 4065). Government consolidation, which includes school districts, and allows for citizens to place on the ballot a referendum to “dissolve any unit of local government” (HB 4067). The School Code already has provisions for citizen-driven petitions which include safeguards for children, staff, and communities. Senate Republicans this week introduced budget companion bills SB 2214-2218. School board members and administrators should call their legislators before next Wednesday and let them know what the proposed property tax freeze would mean to their districts. Click here to read the Alliance Legislative reports from this session. Public school leaders are invited to attend the 2017 Joint Annual Conference of the Illinois Association of School Boards, Illinois Association of School Administrators, and Illinois Association of School Business Officials. "Leading by Learning" is the theme for the 2017 Conference, to be held November 17-19 in Chicago. Conference registration and housing will open at 8 a.m. on Monday, June 19. An email with complete information was sent to all IASB, IASA, and Illinois ASBO member districts and IASB affiliates on June 15. Unlike in previous years, registration for the 2017 Conference will be online. Online registration is through members’ “My Account” with IASB. District rosters must be updated and include the names of all district board members and staff who are registering for Conference. Click here for district roster management instructions. Conference announcements and updates are available at www.iasb.com/jac17/. The Illinois Association of Regional Superintendents of Schools and the Illinois State Board of Education will host a “Lead, Focus, Connect” conference on June 19 at the Wyndam Centre in Springfield. Presenters from ISBE, ROEs/ISCs, and other state organizations will provide significant information about ESSA, using inquiry in teaching the sciences, family engagement, licensure, digital learning resources, and other topics. Five “cool schools” will be featured, nominated by ROE and ISC staff, and chosen for their innovative programs. Representatives of the five schools will be present to provide information, discuss opportunities and challenges, and answer questions. All teachers and administrators are encouraged to attend. Cost of the event is $75 per participant, which includes lunch. A $10 per person discount will apply for groups of five or more. A block of rooms is available at the Wyndham at the conference rate of $99 per room. To register, visit the sponsor's site. in Marion on July 9-10. Advance registration is required and may be done online. Contact your district secretary to register or login to “My Account” and select the desired workshop from the Events Calendar. Click here for registration and other information regarding New Board Member Workshops. 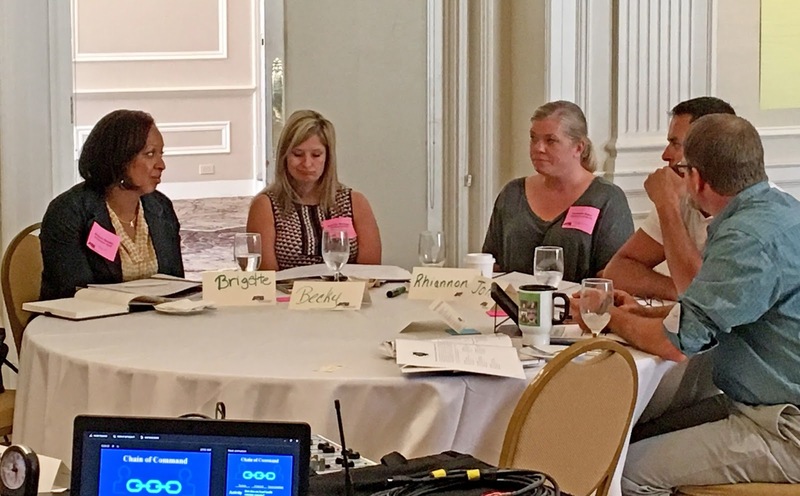 School law experts delivered state-mandated training on day one. A new report from the Illinois Education Research Council (IERC) calls for improving state requirements for the preparation of early childhood education specialists. 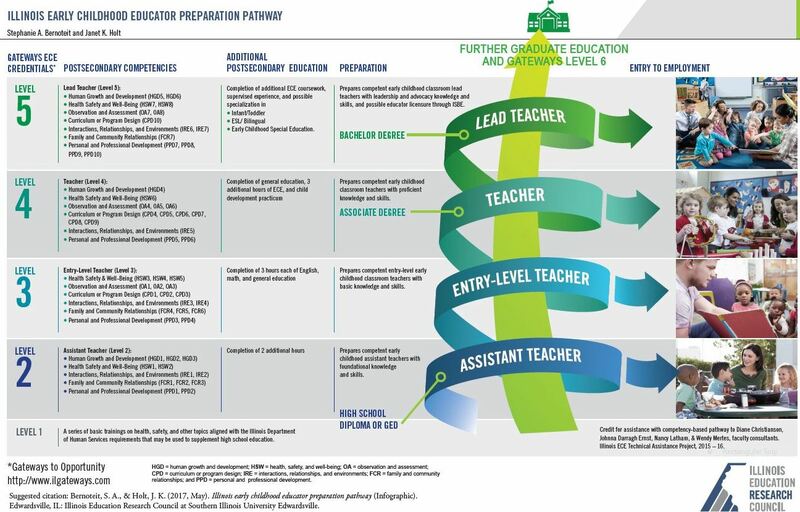 These instructors have widely ranging credentials, degrees, qualifications, and compensation, according to the new policy brief, Advancing the Illinois Early Childhood Education Workforce: A Model College and Career Pathway. 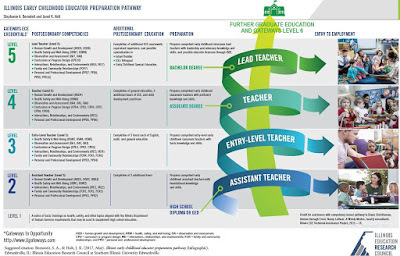 This report proposes adding a preparation pathway (click on infographic below) to existing early childhood credentialing and postsecondary degree structures to create a seamless system of educator preparation. The proposed model would offer multiple entry and exit paths for educators, according to the authors. 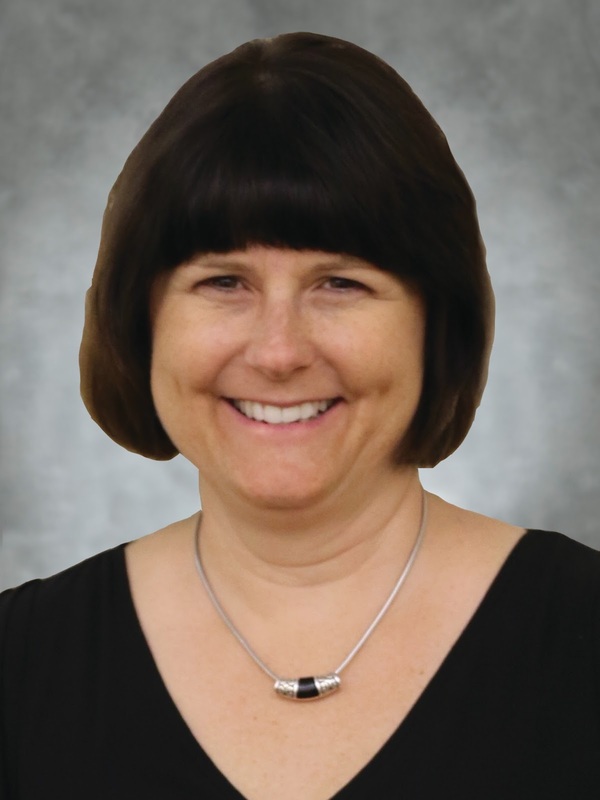 “The pathway model described in this brief builds on existing state work and creates new opportunities for innovation in supporting our state’s early childhood educator workforce, as a whole, to continue to advance their skills and attainment of credentials and degrees,” says Stephanie Bernoteit, senior associate director for academic affairs, Illinois Board of Higher Education, and lead author of the policy brief. The following are editorials, commentaries, and opinions from various sources regarding public education, collected in May 2017. The views and opinions of authors expressed below do not necessarily state or reflect those of the Illinois Association of School Boards. The appearance of external links does not constitute endorsement by the Illinois Association of School Boards of the linked web sites. All links are provided with the intent of informing readership of issues relating to public education in Illinois. of cursive handwriting in Illinois public schools. What’s your opinion? take so many sick days? should we "throw the bums out?" Three public jobs no problem for local Wonder Woman, or are they? There was no official action on a state budget this week. The legislature adjourned on May 31 and went home without approving a spending plan for Fiscal Year 2018 and went into what the House Speaker calls “continuous session”. There was no session this week, though the House of Representatives did hold appropriations committee hearings in Chicago to discuss budget items. More House hearings are scheduled for next week as well. Reportedly, staff from the governor’s office and from the offices of the four legislative leaders have been meeting on the budget. There was no indication that there has been any breakthrough and, generally, the governor and the legislative leaders have been sticking to their initial positions (much like the last two years). In the meantime, the budget adopted last year for public schools still runs through the end of June. If no budget bill is approved this month, there would be no appropriations for K-12 school districts effective July 1. For school board members and administrators who are beginning to make contingency plans in the event that there is no budget in place for public schools, the Alliance has prepared a toolkit that is available here. 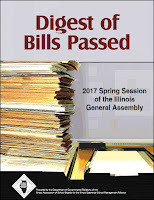 It was a mixed bag this spring for Alliance members regarding the spring legislative session. The good news, the General Assembly approved a new – much more equitable – school funding distribution formula. The bad news, at this time there is no budget to fund it. And though the legislature has approved SB 1, through a parliamentary maneuver, the bill has not been sent to the governor. The bad news, several bills containing new unfunded mandates were approved by both legislative chambers. HB 3215 that will require school districts to provide feminine hygiene products for free in all restrooms; HB 3869 that will require school staff to receive in-service training on implicit racial bias; and SB 1223 that will require school districts to create a new committee and policies on accelerated placement of students, all were approved. The good news, dozens of bills that would have created new mandates were stopped, including requirements to: post new nutritional information on all food sold in schools; add new instructional programs on Civics Education in junior high school and work ethics instruction in sixth grade; equip all school buses with seat belts. Bills were amended on behalf of the Alliance to lessen proposed requirements for instruction on job training programs (HB 243), an entrepreneur curriculum (HB 3368), and new reporting requirements for DCFS (HB 3615). More positive results emerged when bills were approved to change the Teachers’ Retirement System (TRS) federal funds rate from the unfunded liability rate to the normal cost rate for school staff paid with federal program dollars (HB 656) and to improve licensure standards for principals (HB 2898), business officials (HB 106), and teachers (HB 3820). 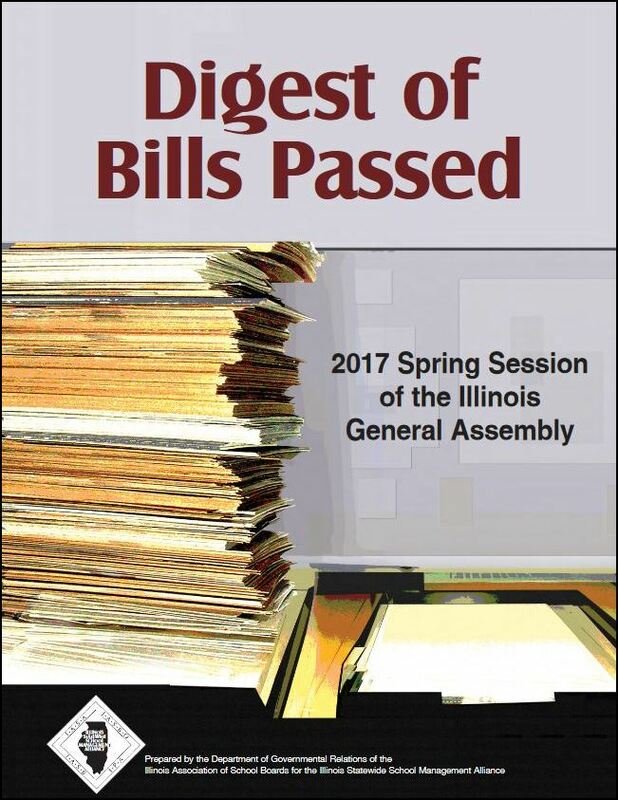 The Alliance’s Digest of Bills Passed publication, which contains all of the bills that affect school districts that were approved this spring, will soon be available. Five newspapers were honored in the 37th annual Robert M. Cole Award competition, including The Daily Herald for its coverage of the Palatine District 15 teacher contract negotiations. The awards, which recognize outstanding coverage of education issues that emphasize the community's connection with its local public school district, were presented during the Illinois Press Association's "Best of the Press" luncheon on June 9 in Springfield. The Daily Herald won first place in the large newspaper category for comprehensive and explanatory coverage of contract negotiations, supported by editorial opinion pieces. Second place among large newspapers went to Phil Luciano of the Peoria Journal Star. In the mid-sized daily category, Deborah Gertz Husar of the Quincy Herald-Whig took first place for her enterprising coverage of school boards, school governance, and policy issues at Quincy SD 172. Her writing brought the work of the board and district to its community, award judges stated. Second place went to Nicole Lafond of the Champaign News-Gazette. In the small daily newspaper category, Owen Lasswell of the Taylorville-based Breeze-Courier won first place for coverage of the state’s school finance reform puzzle as it related to the Taylorville school district. Second place went to Sharon Woods Harris of the Pekin Daily Times. In the large weekly category, Hillary Dickerson of the Galena Gazette took first place for her coverage of the Galena school district’s facilities challenges and accompanying referendum. Her work included input from both community residents and school board members. Second place was awarded to Katie Devereaux, also of the Galena Gazette. The first-place award for small weekly newspapers went to Will Brumleve of the Ford County Record for enterprising coverage of school boards, school governance, and policy issues, especially for reporting on community dialogue with the district. Second place went to Ann Gill of the Coal City Courant. 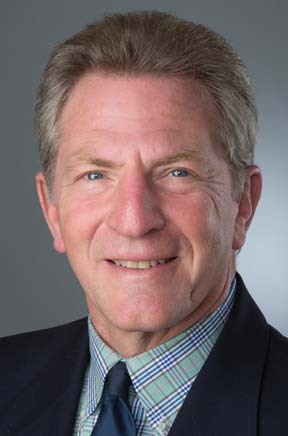 The Robert M. Cole Award for best school board coverage, named for the first full-time executive director of the Illinois Association of School Boards, recognizes outstanding coverage of education issues that emphasize the community’s connection with its local public school district. Judges evaluate entries for contribution to public understanding of local school governance and support for effective dialogue that helps the community and school board define major public policy issues. Judging criteria also includes enterprise, depth of reporting, and clarity of writing. The 2017 contest included 21 entries. The Cole Award is part of the Illinois Press Association’s annual contest. The IPA was founded in 1865 as an organization for Illinois publishers and represents more than 450 daily and weekly newspapers in the state. will be displayed in November at the Joint Annual Conference. The annual Exhibition of Educational Environments, sponsored by the IASB Services Associates, is now accepting nominations for outstanding school design projects. The 2017 competition is seeking school facility projects that will be completed in time for the start of school in the fall of this year. School architects and school officials will be tasked with reviewing all project submissions and selecting entries to be displayed in November at the Joint Annual Conference in Chicago. Three architects chosen by the Service Associates and three school board members or administrators selected by IASB will comprise the jury. Those reviewing the projects will have complete freedom in selecting entries that best represent a statewide cross section of school building designs that are of interest to exhibition attendees. The jury will give prime consideration to solutions of the stated educational program requirements as detailed in the Call for Entries application form. All entries will be judged on a blind basis, with no more than two entries submitted by each exhibition participant. Completed forms and associated fees for each project must be received by July 17. Projects that are not chosen for display will have their entry fees refunded (less $25 to cover IASB expenses). Additional preliminary materials are due by Sep. 18, with judging to take place on Sept. 22. Applications were mailed to district superintendents, regional superintendents, and school architects in mid-May. A fillable application form is also available on the IASB website. 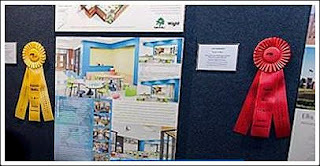 School designs selected for exhibit at the Conference will be eligible for Award of Distinction, Award of Merit, or Honorable Mention honors. The winners will be announced during the First General Session on Friday, Nov. 17. For more information about the Exhibition of Educational Environments or questions about the contest, contact Britni Beck by email at bbeck@iasb.com, or by phone at 217/528-9688, ext. 1131. Previous exhibits can be viewed and accessed through IASB’s School Design Data File. The first round of Workshops were completed June 2-3 in DeKalb, Effingham, and Peoria. 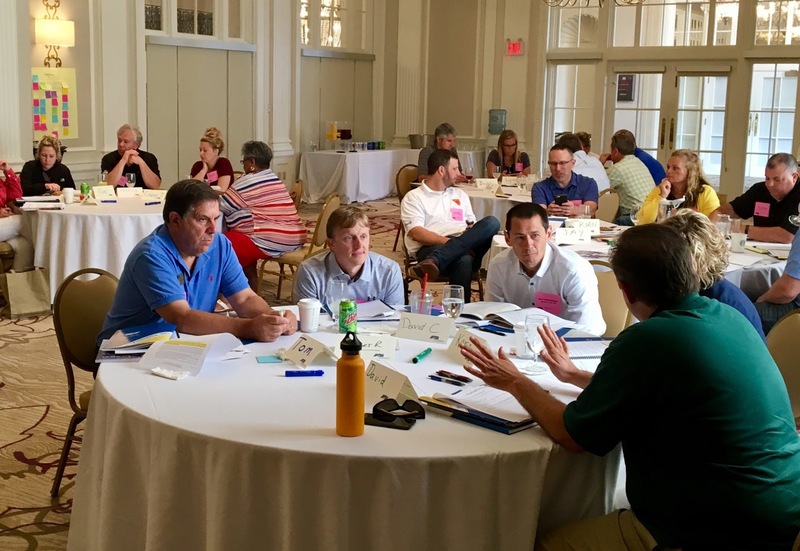 New Board Member Workshops are designed to meet the needs of school board members elected in 2017. Workshop participants will be able to complete their mandatory board training on Friday. The Saturday sessions will provide board members with essential information to understand and fulfill their governance role. Advance registration is required and may be done online. Contact your district secretary to register or login to “My Account” and select the desired workshop from the Events Calendar. New Board Member Workshops are a legitimate school board expense; please contact your district office for guidance. For additional registration information, or more on this professional development opportunity, click here to view the workshop brochure. IASB's 2017 New Board Member Workshops are underway. 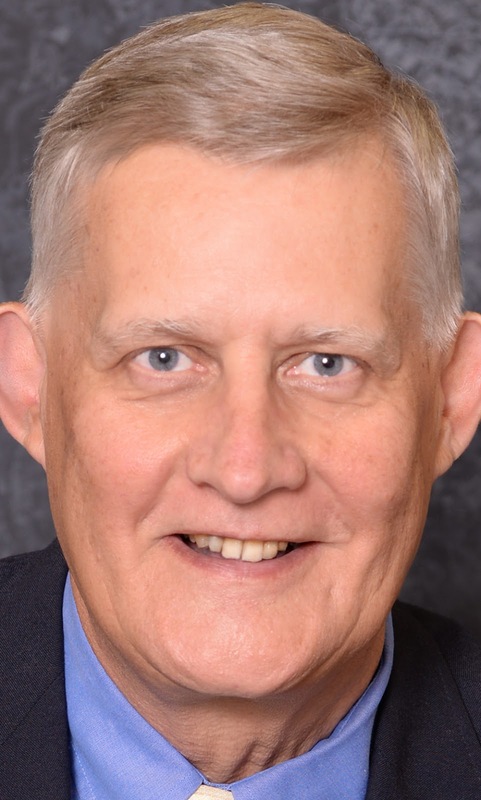 William "Bill" Alexander, school board president at New Berlin CUSD 16, has joined the board of directors of the Illinois Association of School Boards, representing the Association’s Abe Lincoln Division. The resident of rural New Berlin is a retired school administrator, having previously served as an elementary school teacher and principal and an assistant regional superintendent. 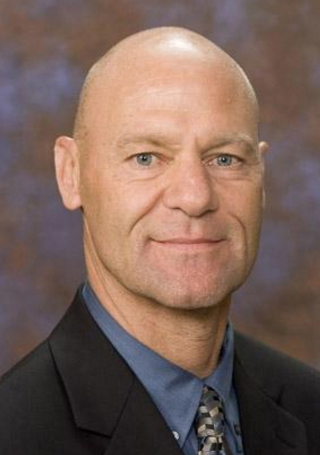 He has been an adjunct professor in math and science methods and philosophy of education at Benedictine University, math-teaching methods at Blackburn College, and worked in student teaching supervision through Southern Illinois University-Edwardsville. 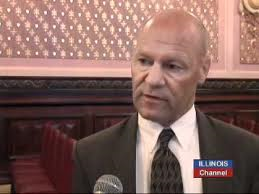 Alexander also worked for the Illinois State Board of Education prior to being elected to the New Berlin Board of Education in 2008. 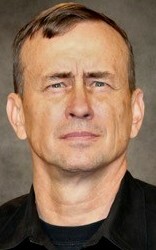 “I’ve been in education for 41 years. It's an amazing experience to see the role education has in our society – as a teacher, administrator, parent, board member, and now a director with IASB,” says Alexander, who has areas of interest in school law and operations. He previously served the Abe Lincoln Division as vice chair, division chair and substitute director before his election as director. 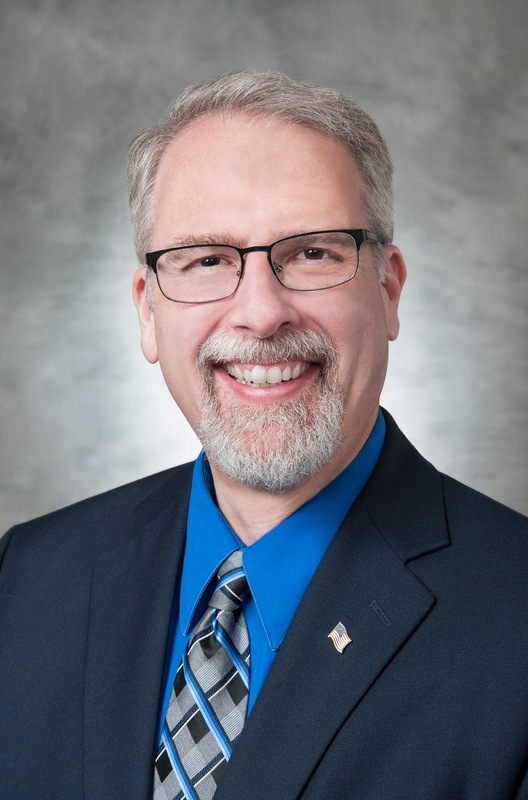 He replaces the outgoing director, Lisa Weitzel of Ball-Chatham CUSD 5, who served on IASB’s Board of Directors since 2013 and did not seek re-election in 2017.
districts can update their local district rosters. With the recent election, more than 1,200 newly-elected board members have joined local school boards. These new members will be added to IASB’s member database as soon as member districts update their local district rosters. IASB enables all member districts to create a profile for each elected school board member and administrative staff, including contact information, the end-of-term date, and any additional titles, such as board president, vice president, or secretary. This same database is also the source for each board member’s professional development records, their log-ins to policy subscription services, and their entry to transact with IASB in order to register for events, buy books, and other services. Last year, IASB switched to a new member database system that streamlines operations, better engages members, and enhances the member experience through improved delivery of services. 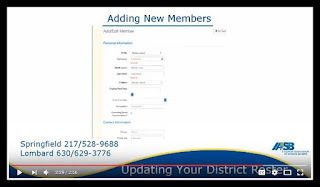 Once a member is added to the district roster, they will also receive notifications, emails, and mailed publications that they are entitled to. That includes New Board Member Packets, which are mailed to all newly-elected board members who have been added to their district rosters, and The Illinois School Board Journal. continued to work for hours moving a plethora of bills that were pending on their respective calendars. Illinois will be moving into the third consecutive year without a full state budget in place if no accord is reached by the end of June. Click here to read more about the topic including key legislation as part of the budget discussions. Wednesday evening both the House and Senate approved SB 1, the bill that would replace the current school funding formula with an evidence-based model of school funding distribution. A key component of one of the pillars of the Vision 20/20 education plan unveiled by the Alliance organizations and others, the initiative was the result of years of work by legislators, school administrators, and school reform advocates. Senator Andy Manar (D-Bunker Hill) shepherded the bill through the Senate while Representative Will Davis (D-Hazel Crest) took the lead in the House of Representatives. Click here to read the entire Alliance Legislative Report 100-22, including more on SB1 and other legislative action. IASB Deputy Executive Director Ben Schwarm sums up the dismal end to yet another legislative session without an approved state budget. Not with a bang, but with a whimper. Again. Lawmakers limped out of the Capitol Wednesday evening without agreeing to, or even voting on, a Fiscal Year 2018 state budget. The utter failure was, unfortunately, predictable. With the governor and legislative leaders saying and doing the same things they have said and done the last two years, was there any chance the outcome would not be the same? What do they say about the definition of insanity? After it was evident that there would be no budget bill presented on Wednesday, each of the players retired to their separate quarters to hold their respective press conferences, where they all pointed fingers at each other to assign blame. The governor met with reporters in his office, flanked by the Republican leaders from the House and Senate. The House Speaker talked with reporters and the Senate President spoke with the press, each believing that somehow they could put the proper spin on the situation to make themselves look like they were the champion in this fight. This tired ritual will likely not have the effect they desire. The citizens of the state are fed up with the years of futility as they watch their schools suffer, colleges and universities on the verge of closure, community members being denied social services, and local vendors not being paid for services provided to the state. There are no winners among the legislators or constitutional officers in this fight, and the citizens of the state are far beyond the point of being swayed by a press conference, campaign mailer, or robocall. The powers that be have let the state’s current fiscal situation become so dire that, no matter when or how they ever come to a budget agreement, there will be no political “winner” among them. There will be no victory lap. The choices will be difficult and the final budget outcome will likely be nothing to be celebrated. But hard choices will be necessary in order for the state to move forward. The governor and General Assembly must reach a budget agreement before the end of June. The patience of the good citizens of Illinois has reached its collective end.